The Lab provides opportunities to learn more using the most modern equipments. Our Labs primary function is to meet the teaching and research needs of the technological world. These labs are helpful for the students to improve their knowledge in their respective field. In our college we are having well equipped, spacious lab with all updated resources which gratify the needs of the present day IT sector. 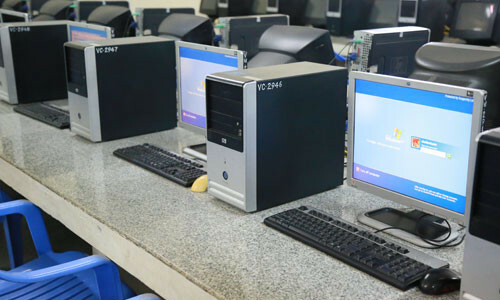 Our computer lab consists of 90 PCs connected in LAN which is connected to high speed broad band connectivity. Guided by efficient teaching staff members. Well assisted by Lab attendants. Updated with all latest S/W Updates.